We do all kinds of Insurance & ISO, Food Certificates. Every individual tends to save a part of his earnings to meet unforeseen expenditures arising at uncertain times. - In this package we recommend Mutual Funds & / or Insurance, as you prefer, for you based on your future goals and dreams. - All funds like Debt, balanced, Equity, MIPs, will be studied and recommended. - Tax saving options will also be considered. 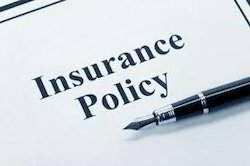 Insurance, investment in mutual fund, NRI insurance and general insurance. Mutual Fund Services is a safe financial mechanism having tax free return. It gives greater return which beats rate of inflation. As you know that inflation is a silent killer of your investment, you can invest either as lump sum or on monthly basis. We invest the investors' money on their behalf into various assets towards a common investment objective.